Even Simone Biles wasn’t always Simone Biles. A poor performance at a qualifying meet four years ago shook her confidence badly enough that coach Aimee Boorman pulled her off the floor before her last event. No one knew quite what to expect when she showed up at the national championships three weeks later. Biles won, of course, kicking off an unprecedented run over the next four years that culminated in the all-around title and three other gold medals at last summer’s Rio Olympics. It’s a story worth remembering as the women’s competition at the P&G Championships begins Friday with no clear heir apparent to Biles. With three years until the Tokyo Olympics, someone will emerge. “It’s the changing of the guard. 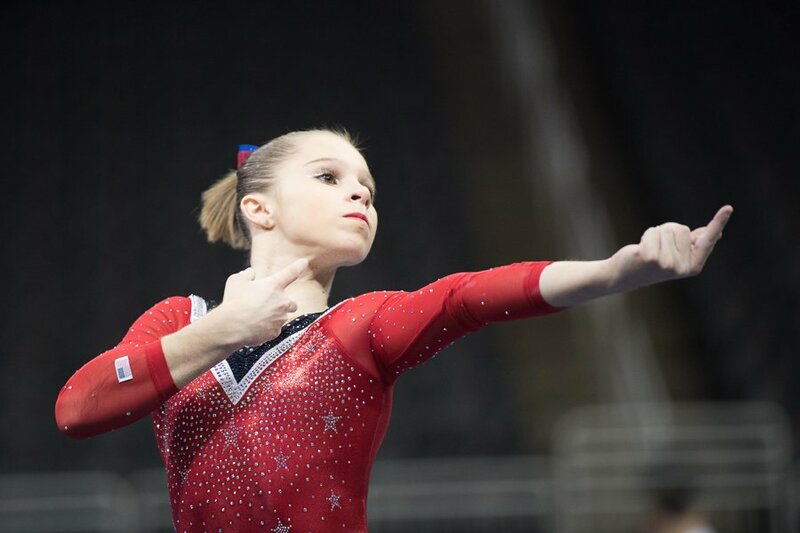 It happens every time,” said Kim Zmeskal Burdette, who coaches Ragan Smith and Emma Malabuyo, two of the gymnasts who could emerge as the next big thing. Smith, considered a veteran at 17, was one of three alternates in Rio last summer and won the American Cup earlier this year. The 14-year-old Malabuyo is still a junior, but she posted the fourth-highest all-around score in the world this year at last month’s U.S. Classic. The top two spots on that list? Those belong to fellow American juniors Gabby Perea and Maile O’Keefe. All three will be eligible to compete as seniors next year, giving them plenty of time to get experience ahead of Tokyo. As Zmeskal said, the year after the Olympics is always one of transition and this one is more so than most. Martha Karolyi, the women’s national team coordinator since 2001, retired after Rio and was replaced by Valeri Liukin, who trained daughter Nastia, the 2008 Olympic champion. Liukin and Karolyi have very different personalities, but their expectations are similar. As the gymnasts said they should be. One way to ensure that is a deep talent pool, which was Liukin’s goal when he took over as director of the developmental program five years ago. Those athletes are now juniors, and the competition in that division will be far tougher than at the senior level. It’s reminiscent of the scenario after Beijing, when Jordyn Wieber, McKayla Maroney, Kyla Ross and Aly Raisman dominated the junior ranks. Wieber would win the all-around title at the 2011 world championships, where she, Maroney, Raisman and Gabby Douglas also claimed the team title. A year later, the Fierce Five steamrolled the competition at the London Olympics. In addition to team gold, the first by an American gymnastics team outside the U.S., Douglas won the all-around title and Raisman claimed gold on floor. That history is not lost on the gymnasts here this week. They have watched women they know, women they’ve trained with, shine, and they’re eager for their turn in that spotlight. The calendar says the Tokyo Olympics are still three years away. This week, however, it’s all about Generation Next.